Are you looking for a sneaker that will give you a fresh look for this month onwards? If you are then Jordan Brand has the answer for you after releasing an impressive edition of the Air Jordan 14 Retro. 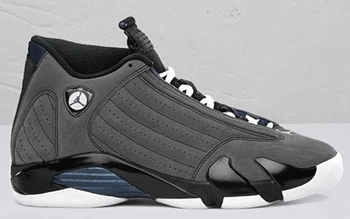 Released last week, the Air Jordan 14 Retro, which was made available in Light Graphite/Midnight Navy-Black-White colourway, is currently making a lot of noise in the market! It’s impressive look along with its proven durability and comfort makes it one of the best among the models released this month! Can’t get enough of it? Grab one now and you will surely like it! Air Jordan III Retro Out Today! Another Air Jordan 11 Retro Now Available!